Dec 20th … Humble Beginnings Toronto West/Central … An afternoon of music an poetry where Jim will be reading from the new book “On Tropical Islands and Shining Seas” that has just come out. Here’s what it looked like at that event. Dec 13th … EL MOCAMBO, downtown Toronto An evening of poetry, art and music where Jim is one of the invited readers at Toronto’s most famous club that has seen the likes of The Rolling Stones, Marylin Monroe, Miles Davis, The Ramones, Leonard Cohen, etc. 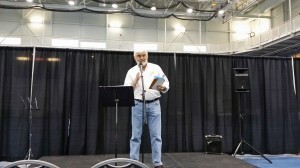 Jim Reading at the Bookapalooza event listed below. JIM’S TELEVISION DEBUT! Rogers TV from their Richmond Hill studio have a series called Writers and Readers and Jim is one of the two featured writers this week. Access details at http://www.rogerstv.com/page.aspx?sid=6155&rid=17&lid=12, and here’s the schedule for those interested. Acclaimed Canadian author Tom Taylor sits down with other authors to discuss the process of creating a great literary work. This week Tom is joined by Canadian author Richard Pyves and British author and poet Jim Scott. 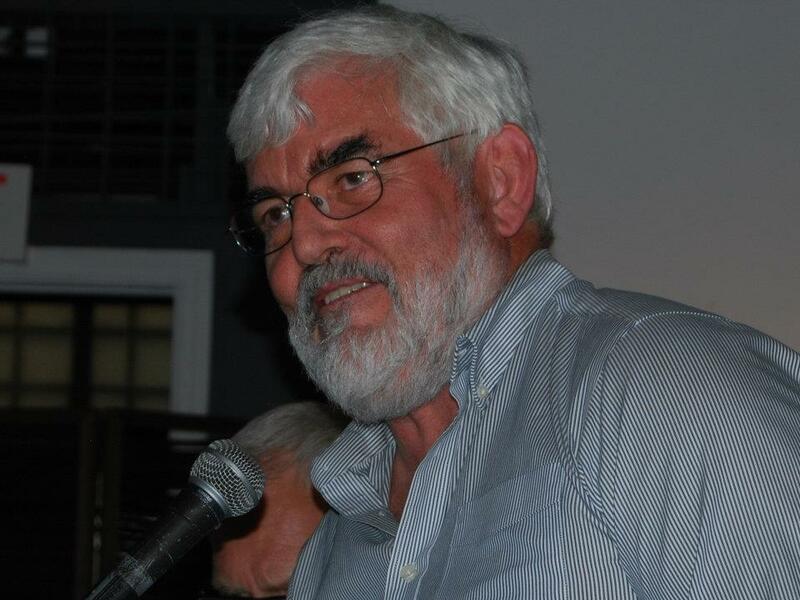 Following on from the post below, Jim was voted one of the top two presenters at the Best Poet of the Month event and is now one of the two “features” at the February event. This means he gets to read for 20 minutes of so instead of the six he was allowed at the last months where he was a “presenter”. 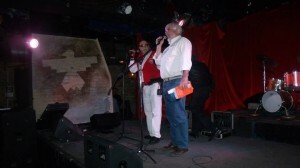 The venue is the Free Times Cafe, 320 College Street, Toronto at 6:45 pm on February 26th…… Jim’s 61st Birthday! This Wednesday, Jan 29th, I’ve been accepted as one of the poets/reader at an event in downtown Toronto. Unusual for me as I tend to stay away from cities, but this event looks to be well worth the trek. 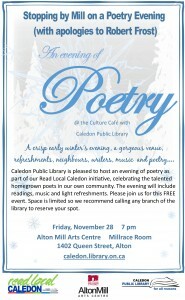 Some well known names on the Toronto poetry scene will also be reading. 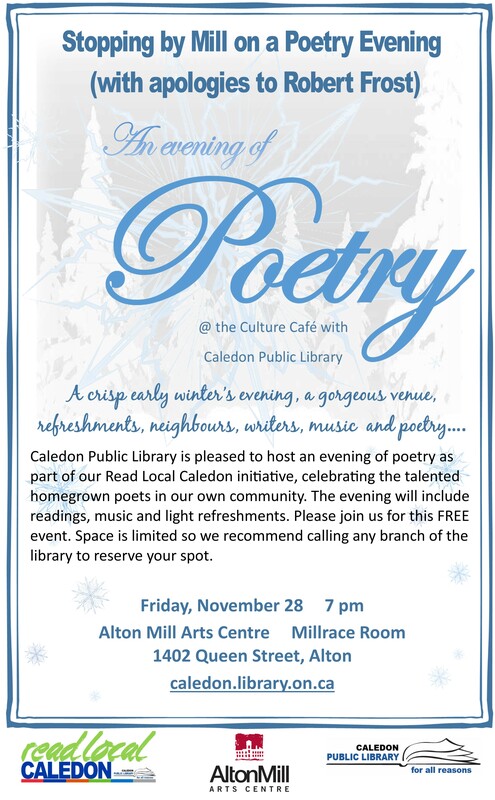 Anyone in the area want to come along and enjoy an evening of poetry and prosetry and perhaps some song in a convivial atmosphere, here’s the details. The sequel to “On Five Continents and Three Oceans” is now written. “On Tropical islands and Sparkling Seas” is now entering the publishing process and hopefully will be available sometime in May 2014. The first book in a new series, this time children’s books, is well underway with final illustrations being prepared and discussions with the printer started. Like the Wanderings and Sojourns (WANDS) series, this series will relate to real events/experiences, but with a children’s story wrapped around them. The first book is an expansion/conversion (to purely a child’s story) of “River Elf to the Rescue” which appears as the last story in book one of the WANDS series “On Five Continents and Three Oceans”. The book will contain a dozen original pictures by the renowned illustrator Cheryl E. Uhrig, and we are working on putting the Elven songs to music in collaboration with children’s music and Orff teaching specialist Karen Kastner. The idea is for a book where children can be introduced at an early age to the integrated world of story, written word, poetry, music and song and if the parents reading the book with their children, or the children themselves, wish to add original dance to that mix, well then that would make it even better. Reading at the Loose Leaf Poets and Writers’ acoustic coffee house gathering in Etobicoke, Ontario, June 2012. 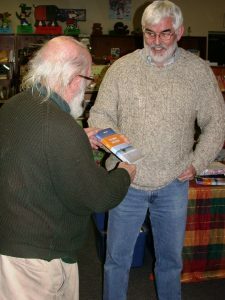 Reading at Forster’s Book Garden, Bolton Ontario, January 28th 2012, invoked much discussion not just about the poems themselves but about the broader subject of writing in general and publishing. Forster’s Book Garden is very supportive of the writerss’ community and a great venue for not just book readings, but for book browsing and shopping as well. Reading to the Writers Community of York Region, December 11th, 2011. Dynamic community of people from all areas of writing of which I am pleased to be a member. I encourage anyone involved in writing in York Region to join. For a link go to the “related links page” on this website. 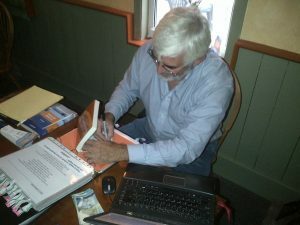 “The Songs and Verses” Book Launch Lunch at Daniel’s of Nobleton Restaurant on November 20th 2011 was very well attended. Several readings resulted in some of the invited guests ordering 5 copies at a time as they considered the book would make an excellent Christmas present. 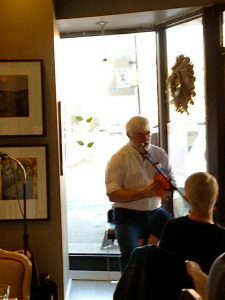 Weekend of Sept 17th/18th at the Schomberg Village Street Gallery, readings went very well. 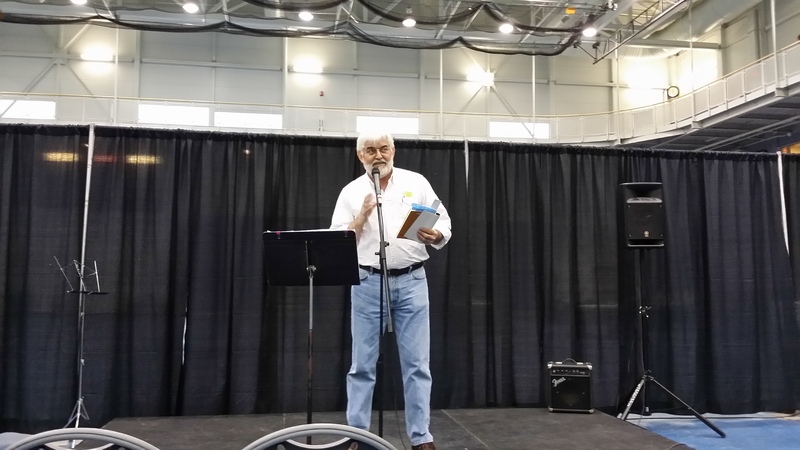 Several visitors asked if an audio version of the poems would be available…. We are seriously looking into that option. Book # 1 “On Five Continents and Three Oceans” and book #3 “The Verses and Songs” are now with the publisher undergoing proofing and lay-up. We’re getting closer. Book #2 “On Tropical Islands and Sparkling Seas” is nearing completion. Book #4 in the series, with the working title of “Book #4 in the series” (OK, OK …… I promise to come up with something better before I publish it) is now started. FIRST READING TO BE HELD IN THE BRITISH VIRGIN ISLANDS!!!!!! As many of the stories are based upon experiences during Jim’s almost two decades in the British Virgin Islands where he was involved in the marine trades in one form or another, it seemed only fitting that the first reading from the Wanderings and Sojourns series should be held at the Royal British Virgin Islands Yacht Club on the beautiful island of Tortola where he not only lived for so many years, but where his youngest children were born. 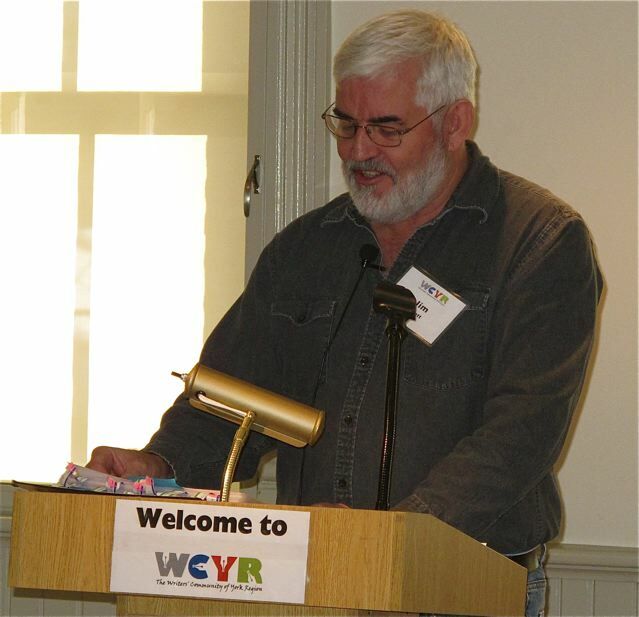 Long time BVI resident in the ‘80s and ‘90s will be at the RBVIYC on Monday, February 21st from 6:30 where he will be reading from his upcoming series of books entitled “WANDERINGS AND SOJOURNS”. The many island and sailing stories and poems include several from his days in the BVI as VISAR coordinator, charter/delivery skipper, racer, diver with yet more yarns from Antigua, St Barths, Bahamas, etc. RBVIYC will have good grub at a sensible price and of course the bar will be open. Advance book purchases can be made with no payment required until books are ready to ship. And VISAR will receive a sensible share from every book purchased in the BVI. So come out and support RBVIYC and VISAR!! !